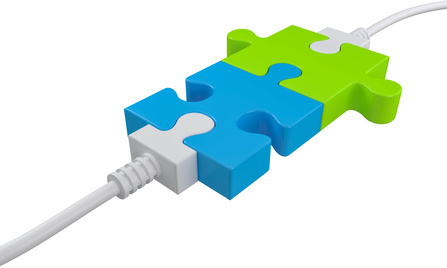 In order to be able to transfer data from one IT system to another you require an interface. Interfaces can be very different. A web service is an interface that is provided online by a system and that can be addressed by other IT systems. This may happen either via a SOAP interface, which uses a XML format or a REST interface, which is easier constructed and supports various formats. But also the export of a file that has been imported into another system is a kind of interface. In terms of the first examples the communication is synchronous that means that you immediately receive a response after calling the web service. However, the export/import solution runs time-delayed. Normally, you do not even get a response from the system that imports the data.